KMPlayer is one of the most popular Multi-media player that can play different multi-media file with various formats. Most of people using it for easy and nice interface. Sometimes we face some problems as like sound problem, double subtitle showing problem and also many different kind of problem that most of us don't know how to fix. At this time I would like to recommend that Reset Current Preset and you are going to see that problem you faced before that will be gone. 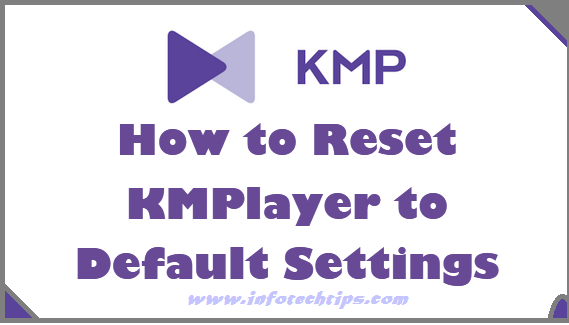 In this case if you restore the KMPlayer to default settings then all customization saved setting will be lost. The player will work as a new installed player. 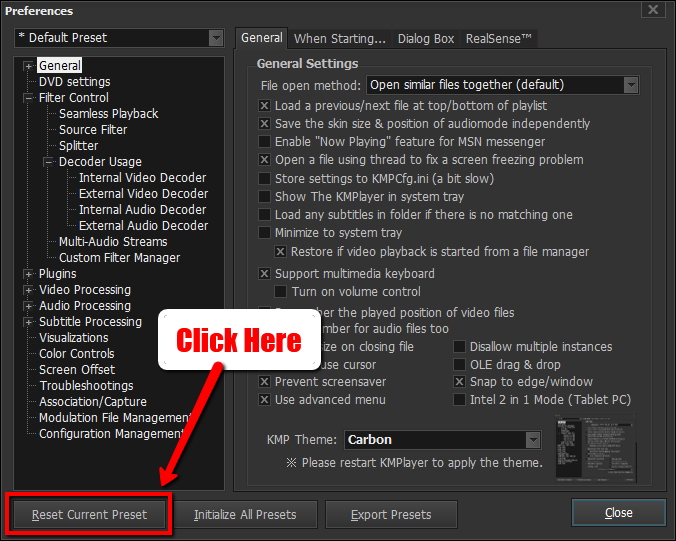 I want to recommended that start the reset KMPlayer with the default settings. For new users or who don't know well about fixing the problem those people can follow the bellow instruction. # Now Press F2 to get access on Preferences menu. Here a new window of Preferences menu will open. # On the this new window you will see a button name "Reset Current Preset" from left bottom. Follow bellow image for better understand. # Now click on that button name "Reset Current Preset" that mentioned in above image and it will ask for a confirmation with a little new window. # From that window just click Yes and you are done. After following and doing those instructions your previous and new faced problem will be gone. And you can use it as easy without having any problem. From the next time if you face any kind or prob then just do this same way. I think my solution helped you. If it really helps then share with your friends so that they can be hepled by you as I did for you.